Charles and Mario came to visit! Home/Charles and Mario came to visit! Surprise visit from Charles Wailly (Kitchenroots) and Mario Vandeneede (Chocolatoa). Charles has helped with the unloading of the Tres Hombres in Amsterdam. The Tres Hombres is a sailing ship that makes the crossing from South America to Europe with a cargo of cocoa beans, chocolate and rum on board. 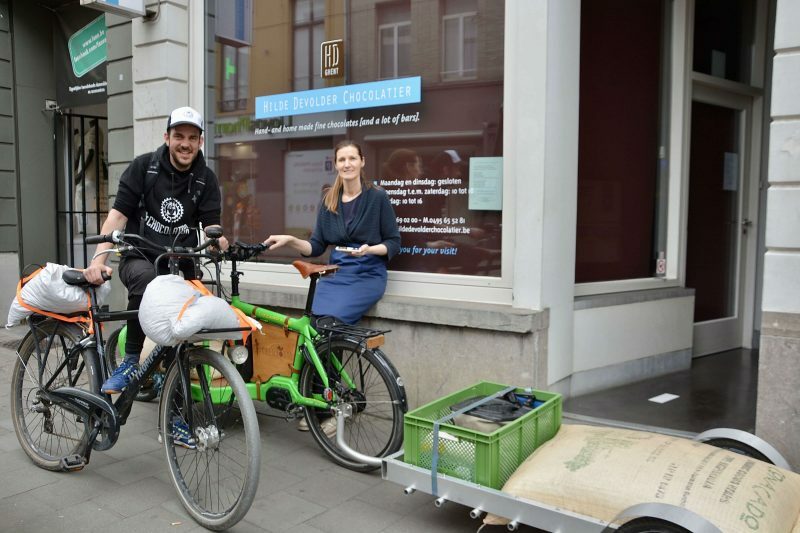 Charles and Mario transport by bike part of the cocoa beans from Ghent to Ruiselede where Mario will make delicious chocolate from it. 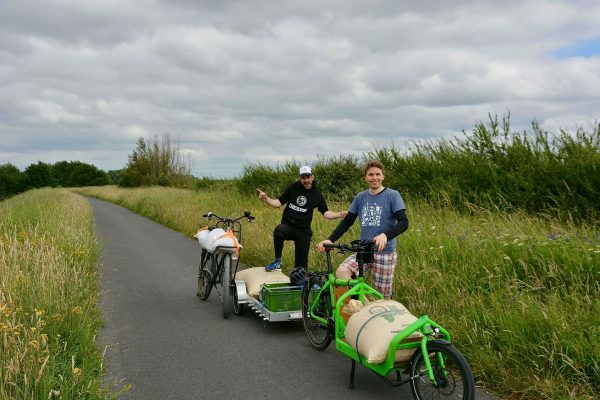 They came to say hi with their cargo organic cocoa beans from the Dominican Republic and within a few months the bars with the delicious chocolate will be for sale in our shop. Thanks for your visit!